The White Birch Tree is native to North America - From Alaska - throughout Canada - as far south as North Carolina. The White Birch Tree makes an excellent high-yielding firewood , lumber for furniture, flooring and popsicle sticks. The White Birch tree is considered a small to medium sized deciduous (a tree or shrub that loses their leaves seasonally ) tree which usually grows to 60 or 70 feet in height ( though white birch trees over 130 feet tall are known ). The average life expectancy of the White Birch Tree is only about 140 years, less in warmer zones as the white birch prefers the cold. 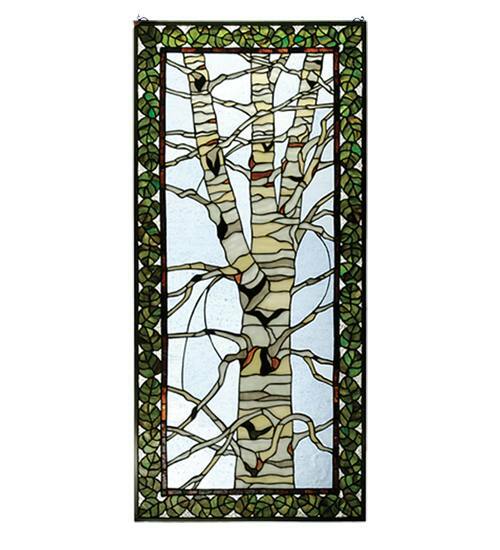 The bark of the White Birch tree is white and easily peels in fine horizontal strips often with small black marks and scars. In spring the bright green leaves appear, lightly covering the tree; in summer the leaves turn an emerald green and in fall, the whole tree turns into a golden spectacle. In winter, when other trees are drab, its trunk and slender branches are a glistening white! 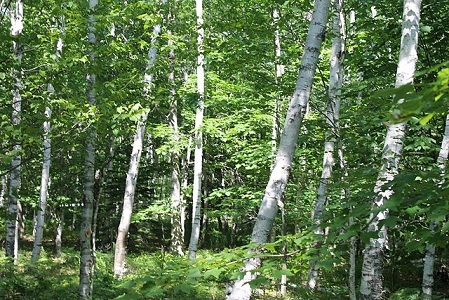 White Birch is hardy, fast growing and require little care. We suggest planting them in clumps of 3. You'll receive healthy, hand-selected 1 1/2 - 3' trees.